Wait a minute. I need to tidy up. Millie and his very long tail ( 15 inches to be exact). 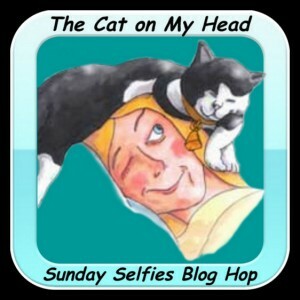 This entry was posted in Blog Hops and tagged Millie, Prancie, The Cat on My Head Sunday Selfies Blog Hop by pilch92. Bookmark the permalink. That IS one long tail! Wow! Millie does have a very long tail! Dat are an impressive tail Millie! A couple of mighty fine selfies this morning!! Hope you all are warm and cozy there. That is one extra long tail Millie, and a pretty one too. You all have a fine day. Your tail is amazing, Millie!! That’s terrific super tail Millie! I really like that pillow. ~grin~ And it’s always nice to see such pretty felines. Nice tail, Millie! Wow, Millie, that’s one seriously long tailio! That is a long tail, Millie, and it was nice of you to let it join you in your selfie. Holy cats! I thought my tail was long! I should have Mommy measure it, but it’s definitely not 15 inches! That’s one very long tail indeed. You both are good looking kitties. Does Millie have color at his tail tip? How cool is that! Great selfies! Millie has got really long and beautiful tail! Lord Rocky Horror has got serious tail envy for Millie – he’s got a broken tail and is missing the end. Poor Lord Rocky Horror, that is sad. Love the selfie and those eyes. They’re cute when they’re complimented, aren’t they. . .? Thank you. Yes, he could be- he even has 2 different colored eyes. Oh my goodness, that is a long tail! Wow that IS a long tail! Wow, Millie. That’s one impressive tail! Very impressive tailio, fur sure. Mom has tried to measure mine but I resist. Hope you all had a wonderful Sunday! Wow, that’s quite the tail. Now I want to go measure all the tails here! Very, very impressive! Mudpie’s tail is very short. Love the pillow! If I had a tail that long and fine I’m sure Mrs H would have me doing the dusting! But, Millie you are safe from Mrs H’s housekeeping chores, and we both think they are both lovely selfies. First picture… Prancie, a cat on your head! Millie’s tail is quite long and Millie is also quite tall! Such good-looking kitty cats! Millie, your tail is nothing short of stunning. Also, I love that pillow keeping Prancie company in the first picture. Purrs to all! Millie, you must have one of the longest tails I have evfur seen! Prancie, you could have used that pillow to do a stand in while you relaxed and took a nap! MOL!